MORRIS PLAINS, N.J., July 16, 2018 /PRNewswire/ -- Honeywell (NYSE: HON) today announced that Carlos Cardoso has been appointed as Chairman of the Board for its Transportation Systems business as it prepares to spin into a standalone, publicly traded company, Garrett Motion Inc. (www.garrettmotion.com). Cardoso, an accomplished global executive with more than two decades of experience in leading industrial companies, will begin his role upon the successful completion of the spin, which is expected by the end of the third quarter. "Carlos has distinguished himself as a successful leader of public companies with extensive experience in manufacturing and distribution operations. He has a strong track record of successful portfolio management and asset allocation in support of growth," said Honeywell Chairman and CEO Darius Adamczyk. "The addition of Carlos as Chairman strengthens an already well-equipped global business leadership team led by President and CEO Olivier Rabiller to accelerate business growth amid a dynamic and evolving automotive industry. Carlos will be a great fit for the Transportation Systems business as it moves forward as Garrett after the spin, and he and Olivier will collaborate very effectively to provide leading vehicle technologies that will help carmakers be successful as the industry evolves toward lower emission powertrains and more electrified and connected vehicles." "The automotive industry is truly a global enterprise, and I am excited to help steward a new company with proven technology and capability into a new era of transportation," said Cardoso. "The new Garrett business will further distinguish itself as a trusted and valued enabler of more fuel efficient, safer and more secure vehicles in an increasingly connected world." Cardoso is the principal of CMPC Advisors focusing on helping private equity companies make investments in the industrial, manufacturing and distribution sectors since January 2015. He also is an active board member of the Stanley Black & Decker and Hubbell Corporation, and serves on the Fairfield University Board of Trustees. 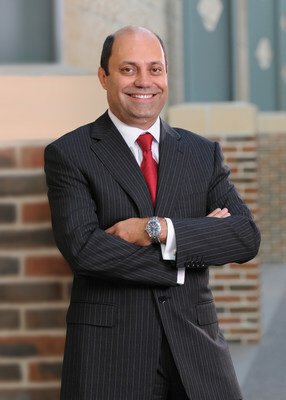 From 2006 to 2014, Cardoso was Chairman and Chief Executive Officer of Kennametal, a $3 billion global leader in metalworking solutions and engineered components serving a diverse set of industrial and infrastructure markets, where he realigned the business portfolio for growth and diversification. Prior to Kennametal, Cardoso held leadership roles at Flowserve and Honeywell Aerospace. Cardoso was named one of America's "Best Chief Executive Officers" by Institutional Investor Magazine. He served as Chairman of the Manufacturers Alliance / MAPI, co-chaired the Pennsylvania Governor's Manufacturing Council and served on the Department of Commerce's Manufacturing Council. Cardoso holds a bachelor's degree in business administration from Fairfield University and a master's degree in management from Rensselaer Polytechnic Institute, and he received an honorary Doctor of Humane Letters degree from Saint Vincent College in Latrobe, Pa. He also participated in the Executive Management Program at Cornell University.